PLACE / HOLD is a working title that encompasses several components from a connected network of distinct but related projects that concern Arctic image consumption, data as the new divine, spatial simulacrum, and corporeal complexity. 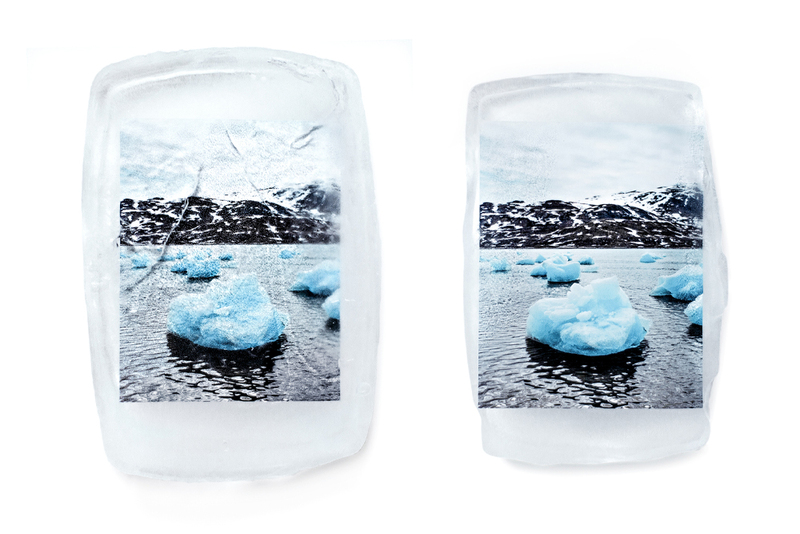 New works in response to The Arctic Circle are a product of Levesque's interdisciplinary practice with a consideration for the materiality and tradition of formal photography and its relationship to new consumer technologies, image-culture, objects in space, and systems. THE ARCTIC CIRCLE - JUNE 2017 // The Arctic Circle residency program brings together international artists of all disciplines, scientists, architects, and educators who collectively explore remote and fascinating destinations aboard an ice-class Tall Ship and takes place in the international territory of Svalbard, a mountainous Arctic archipelago just 10 degrees from the North Pole.